‘Your only the third big shot in our village’, said the village ‘chairman’ (head hocho), ‘together with a Government Minister and a CEO’. I hardly thought of myself as a big shot, but his concern was real. I needed to register with him in case, as the only westerner in the village, (though I know of a Dutchman in the next village) a gang of machete wealding thugs ambushed me at night and he had to call my next of kin. He suggested the local police would keep an eye out – but a donation of 50,000 schillings – ‘to oil the wheels of government’ would help. I wasn’t about to argue, it was so similar to the Panchyat system I was familiar within in India, it was only 5 pounds or so, although around 15 times the monthly Ugandan National Minimum Wage. Joggo (sometimes spelt JJoggo) is a rapidly growing large village/small town just north of the equator/Lake Victoria. It has grown so fast it isn’t yet properly on the maps and so no one is quite sure how many J and Gs it is supposed to have (like many place names in England before the Ordnance survey standardised them). The chairman was head of Gomo/Misindye Village. My family’s farm is in the tiny village of Misindye. Gomo is just the name of the region. But Joggo is the main settlement having grown up in no time at all along a road atop a north south ridge amidst beautiful rolling countryside at altitude, that like Winston Churchill a century ago reminded us both of the Sussex Wealden, only with much more colourful trees and birds. The Chairman reckons it has a registered population of over 3,000, but he says many ‘big heads’ don’t register so the true population I reckon is over 5,000. A village this size in England might struggle to support two or three shops but in Uganda it has over a hundred. It doesn’t yet even have a Church (Misindye’s is only concentrated as a Parish in its new Church on 13th Jan). The vast lump of Kampala lies within peri-urban eyesight of the ridge but a useful strip of protected wetland keeps this area safe from sprawl though rapidly developing. 5 km to the south down the unmetalled and endlessly road humped ridge road lies Seeta, 10 years ago a small village but now a busy town on the Kampala/Kenya Main road (don’t think for a moment that this is even a dual carriageway). A place with the atmosphere of a wild west gold rush town given the number of businesses setting up there and how crowded it gets on Market Days. My partner Doreen was bored at the farm, ‘lets set up a little stationary shop.’ Seeta rents were silly even for Africa, but Joggo had a lot a shops but mostly rubbish ones and my brother in law noticed that for miles around people had to take a long boda boda (motorcycle taxi) trip into Seeta to get photos printed, so we decided to set one up in Joggo. I worked out with a large ink tank Epson L200 printer we could undercut competition for miles around on price per photo. The only free shop was derelict so I secured a long rent free period in return for renovating it, which took less than a week. The ‘shopfitting’ was fun. I was told that the price quoted for wood and labour for the shelving was a ‘muzungo price’ (you can work it out). However the family member who bought the wood was palmed off with warped and split junk at a ‘cheap’ price. Needing to be open before Christmas, where there would be a big rush of portrait photos, we had no choice and a couple of local ‘carpenters’ (hammer bangers in) set to work. I bought a spirit level and explained I would not pay them if everything was not at right angles drop dead centre. A day later they were finished the front room – but nothing was level, some shelves 20 degrees off. Its Africa my other half explained, a wonky handmade feel was part of the spirit of the place. Little did I know my other half had fired them from doing further work. That night I caught them skulking around the farm late at night, and that night a chicken vanished, then then the next night another after the hen house window was broken into. The lesson, however unintentionally don’t make enemies. a Toyota 4 wheeler which from its milage, condition and coins in the glovebox had one previous lady Dubai owner who only took it once a week to the Mall), a generator for the inevitable power cuts, adding every item to a ‘foolproof’ PC till database, and welding of security doors front and back with a endless series of elaborate padlocks – one of which squeels if tampered with – we were ready to open. Booze, barbecue and funky music ready our two (three today) year old daughter Tyra (nasaur) cut the ribbon and we were open. (ill post a you tube when I get the chance). Now if only I can get that uber high tech pocket sized WIMAX and WiFi connection working. Christmas is a busy time for photos. An awful awful lot of pretty girls have been in wanting photos taken by Dorren’s brother Joseph. He even seems now less interested in not missing every Arsenal Game and stays at the shop overnight –hmmm. I made sure Tyra had a little MU ball for Christmas so should doesn’t fall under his bad influences. Dorreen hasn’t yet put in a shift. So much for me sitting in the back office writing my long planned treatise of price theory between international urban planning assignments). A plan further disrupted by a yearlong too big to pass up contract back in blighty of all places. After the spending the sunless summers of 2010 and 2011 in England I hoped to base myself as much as possible flying around the Equator, staying at altitude outside the wet seasons (which Climate Change here has made two months longer than usual) . Instead cold sogginess and neoliberal miserableness beckons and I have only two weeks to teach Doreen both to drive and Photoshop/Indesign. Thank goodness I have the patience of an angel. So after a brief weeklong trip in the Africa mobile to Mount Eldon National Park (where the final; scenes of King Solomon’s mines are set) ill leave this, beer at 40p a bottle, petrol at a pound a litre, rent free, demi-paradise behind. Of course the shop won’t make a lot of money, but at 8% annual growth and low start-up costs half a dozen businesses like it plus property development building three bedroom homes at 10k a throw (including land costs) that rent to western charity workers at European prices this is the land of economic opportunity and security in elder years that austerity Britain with every sq cm of land locked in by rentier interests, where the elderly are abandoned in institutions by family and where an unemployed person with a 50% savings rate would need to save for several hundred years to start a shop up, is not. Inspired by Irish pubs where you get served pints over a counter of Shoes, after dark (around 7.30 every day we are on the Equator) we intend to soon open up as the ‘Equator Bar: Best Bar in North or South Africa (and both at the same time)’, and show Premier League matches on the satellite TV. Sadly though I wont be serving bottles of Nile Special or Tusker, and bags of Grasshopper (which taste just like pork scratchings) over the photocopier just yet, Doreen and Joseph and aunty Harriet will, however if you happening to be passing between Ngorongoro or the Serengeti and the Mountains of the Moon and the Impenetrable National Park (David Attenborough Guerrillas) on the main highway then just turn off at Seeta down the main market street and after 6km or so you will see our big halogen lit sign (being made today), and you can kip over at Joggos pride or Neon Cottage motels nearby (places where young Kampala couples sneek out to at the weekends) you would be welcome. Just ask anyone on the road for ‘Daddy Tyra’s’ Shop and Bar or see teh Google Map below for a GPS. At a press conference today. Note it is not a typo, he really did say ‘county’ not ‘country’. The comment is widely taken to refer to refer to the southern chinese village of Wukan, which forced elections after attempts at land grabs without compensation by local party leaders. Of course this is his last year and he is stepping down and this is likely an attempt to cover his back from future criticisms. In France a property developer is paying 50% of the cost of a piece of public art as planning gain. Except in this base its a bronze statue of the presidents wife – Carla Bruni-Sarkozy. 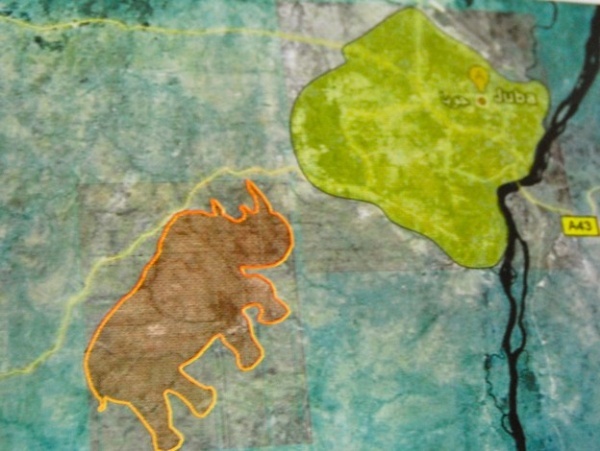 In 2010 it was announced that Juba, the rapidly-growing capital of southern Sudan, was to be redesigned in the shape of a rhinoceros. Detailed architectural drawings of the new Rhino City show that the police headquarters would be situated at the rhino’s mouth, an amusement park at its ear, an industrial area along its back and residential housing throughout the four legs. It would also have a park sited in its horn and a 5-star hotel where the animal’s eye would be. 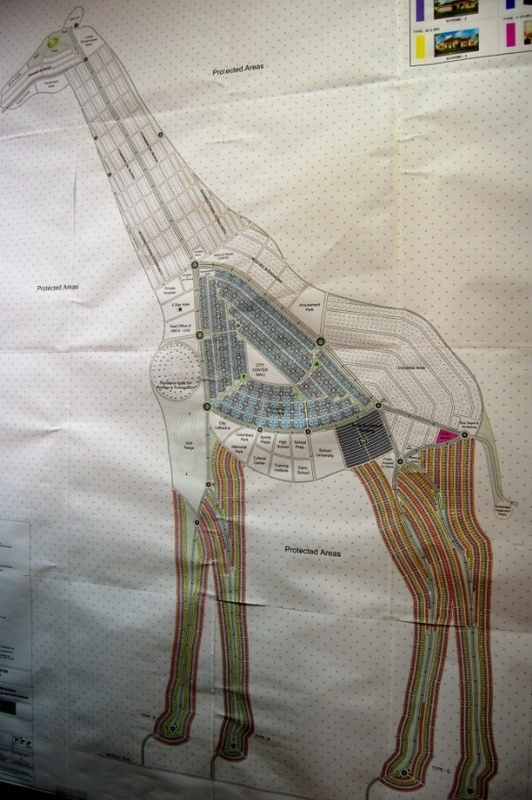 The nearby city of Wau, meanwhile, was to be modeled on a giraffe, with a large industrial estate in its neck and the sewage treatment plant appropriately placed under its tale. Plans for up to 10 other cities were also announced, based symbols found on their state flags, including pineapples. Its not innmo0vative, its stupid, like the animal shaped islands planned in the gulf which quickly proved impractical. Such designs cannot expand, there is no provision for informal settlement, which were your residents earn 65p a day is essential, and the shapes mean the cities are impractical for walking or public transport. After a gneration they will be seen as monuments to folly and the egos of those who built them. Mr Wani – if you want some application of real expertise on the needs and design of African cities give me a call. This situation owes a great deal to the issue of land availability, which also deserves an explanation that goes beyond the simplistic assertion that there is not enough land on which to build. The issue of land availability for home-building is, above all, a question of there being not enough land with planning permission for projects of a sufficiently high density to ensure profitable housing developments. In other words, what is lacking is square metres of net floor space rather than square metres of land. This is therefore a matter for local urban development plans and local political decisions. With this in mind, it is now easier to identify where the problem lies in Île-de-France, a region where urban planning and development decisions remain in the hands of some 1,281 mayors (including 412 in the contiguous built-up area around Paris), whose inclination to densify land use is limited, to say the least. Yet again, it is the question of governance of the Paris metropolitan area that needs to be reconsidered: today, there is nothing in place to incite local councils to proactively help resolve the housing problem that now affects the whole Paris area. The result of this is a lack of development sites in the low-density outer suburbs combined with relative inertia in terms of operational urban development (in 2007 in Île-de-France, only 19% of new housing units were produced as part of designated urban development zones, or ZACs. The consequent pressure on the market is reflected in high property prices that disadvantage social landlords and favour private developers). All the conditions are therefore present to encourage housing production that is both low in volume and high in price, and thus unable to satisfactorily meet the needs of low- and medium-income residents in the Paris region. These inhabitants pay over the odds for their home, requiring significant financial efforts of various kinds, while at the same time having to accept geographical remoteness or inconvenience combined with impossible or severely constrained mobility. What lessons can be learned from these analyses with regard to housing policy, both nationally and at local level? One thing is for sure: new housing should not be built exclusively in those cities and regions where there is most pressure on the property market. There are many other reasons to build new housing, notably as part of spatial planning measures or urban renewal programmes. Nevertheless, it is essential for increased housing production to be concentrated in those areas where needs are greatest. Furthermore, land-related obstacles must also be eliminated at the same time. In particular, this means establishing new organisational links between housing and urban planning: local urban development plans need to be transferred to intercommunal structures, and the governance of housing policy in Île-de-France needs to be completely overhauled. In addition, the proportion of affordable housing among these new dwellings must be increased. This depends on two conditions: first, that the sustainability of funding for social housing is not compromised, and second, that the land-related production costs of home-buying schemes are more effectively reined in. 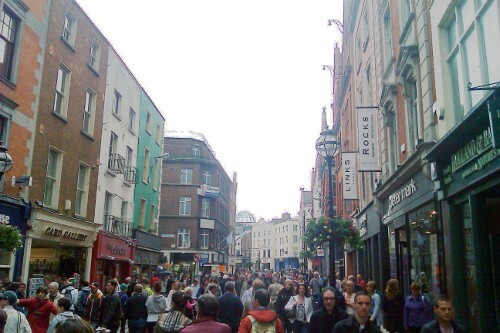 This latter point, in turn, is dependent on an upturn in ZAC-based urban development and a profound transformation of the relationships between city authorities, planners and developers. Certain cities, such as Rennes, Grenoble or Toulouse, have made successful attempts in this regard; however, no such action has yet been brought to fruition on the scale of the Paris metropolitan area. Former Israeli Prime Minister and former Mayopr of Jerusalem Ehud Olmert has been indited today in a scandal that also involves the former Chier Engineer (chief Planner) 2001-2006 Uri Sheetrit. The case involves the high rise hill top Holyland development complex, which, because of its hideousness and being an obvious breech of the strict low rise controls in the eternal city local have long believed was corrupt. Former Israeli Prime Minister Ehud Olmert was indicted Thursday on new corruption charges for allegedly seeking bribes in a wide-ranging real estate scandal that dwarfs the other cases in which he’s accused. Jerusalem residents have long suspected that the hulking Holyland housing development, built on a prominent hilltop, was tainted by corruption, and Thursday’s indictment against Olmert cemented those doubts about his integrity. The alleged crimes took place while he was mayor of Jerusalem, a position he held before becoming prime minister in 2006. Olmert has denied all charges. The former Israeli leader is already standing trial on separate charges of accepting illicit funds from an American supporter and double-billing Jewish groups for trips abroad – also before he became prime minister. He has denied those charges, too, and claims no wrongdoing during a three-decade political career dogged by suspicions of corruption but no convictions. The accusations, however, forced Olmert to resign after a three-year term as prime minister in 2009. The Holyland case broke two years ago on the strength of a businessman involved in the Holyland project who turned state’s witness. Ehud Olmert is also accused of asking the middleman to help out city engineer Uri Sheetrit, who also had money woes. Sheetrit later dropped his opposition to the broad expansion of the Holyland complex, which burgeoned from a small development into a massive, high-rise project that sticks out from its low-rise neighbors. According to the indictment, Sheetrit received hundreds of thousands of dollars in bribes. The 87-page indictment also ensnares other powerful Israeli figures. Former Jerusalem Mayor Uri Lupolianski, who succeeded Olmert, was charged in the Jerusalem real estate scandal. Danny Dankner, the former chairman of Israel’s second-biggest bank, was charged with offering hundreds of thousands of dollars in bribes to a government official to rezone land for one of his businesses. Local campaign posters seeking future phases of the scheme to be halted and returned to a park.